Bury St Edmunds’ Abbey Gardens are an unmissable spot just 15 minutes from our glamping retreat in Suffolk. Nestled in the town centre, the beautiful gardens are the site of the dramatic Abbey Ruins. Originally, the Abbey Gardens was where the one of the richest Benedictine abbeys in all of England stood. In the 1830s, however, (already centuries after the Abbey’s dissolution), the land was transformed into a beautiful botanic garden. 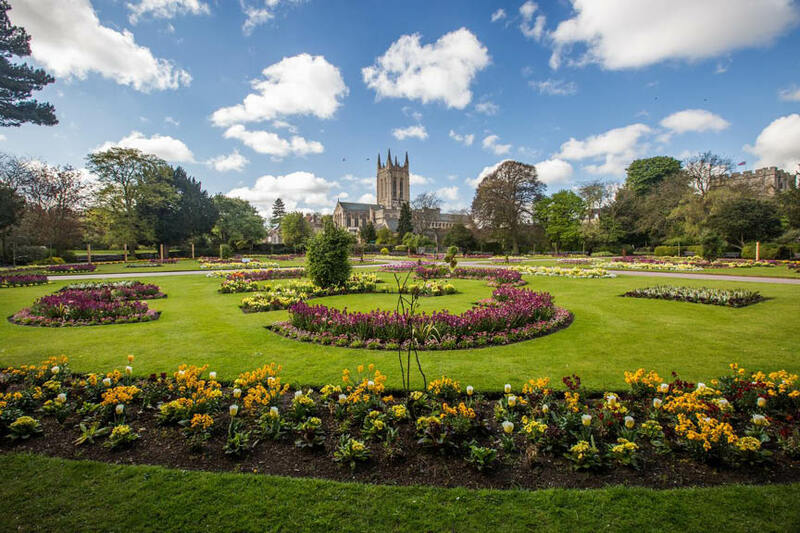 To this day, Bury St Edmunds’ Abbey Gardens remain a tranquil and idyllic spot where visitors can admire flora, read a book or take in the striking landscape of the Abbey Ruins. The park also features an aviary, a bowling green, a children’s play area and much more.